To help protect the environment, Toyota Manila Bay Corporation recently signed a memorandum of agreement with ABS-CBN Lingkod Kapamilya Foundation, Inc.'s Bantay Langis project under Bantay Kalikasan program. TMBC vows to support the advocacy through their used oil donation. 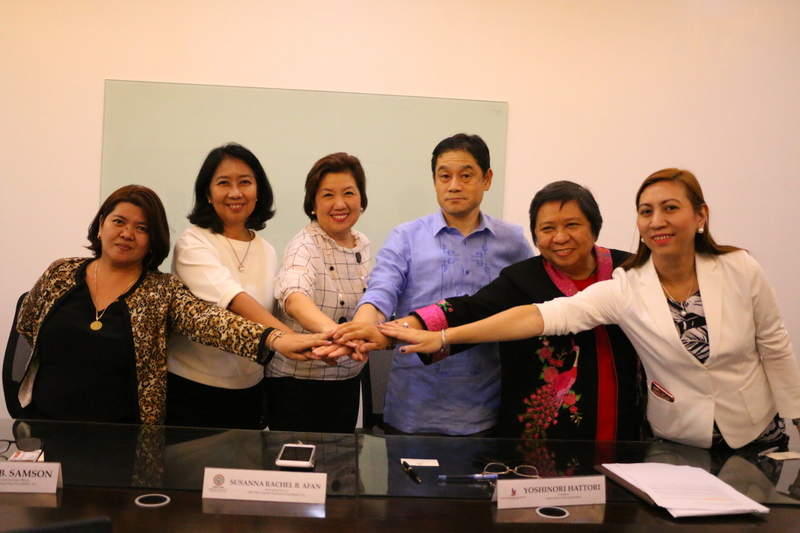 In photo: (L-R) Jocelyn Pañen- Pollution Control Officer of Genetron; Noemi Samson-Chief Finance Officer of ABS-CBN Lingkod Kapamilya Foundation, Inc; Susan Afan-ALKFI Managing Director; Yoshinori Hattori-President of Toyota Manila Bay Corporation, Marissa Espiritu-Treasurer of TMBC and Emilyn Doria-Vice President of TMBC.